Thanks guys, great product – hubby is loving it and most importantly I think he looks great! Ahoy Cap’n Jim! 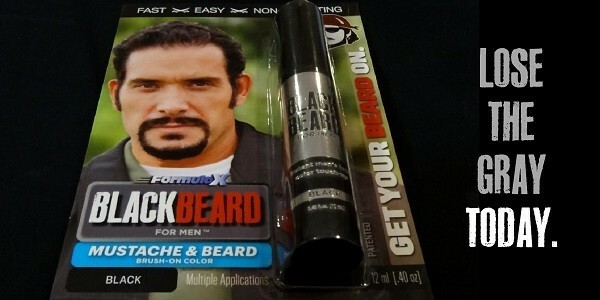 I did order that Black Beard For Men, and it be awesome!! Absolutely delighted, looks so natural and easy to apply, just 45 – 60 seconds! I find it works better if you store it on its side. If you stand it up there’s a bit of pooling at the tip which left black dots on the beard and too much dye. Very very good. It passed the wife test….she didn’t laugh at me, like she did after I used the henna stuff from (X,) which turned my beard a lovely shade of orange/ginger! Hahaha, of course, we can laugh at that now…almost. Still have a few itchy sores on my face from (the leading beard dye)! Never again!! That’s from over 4 weeks ago…tut tut! Anyway, thanks again, another worry dispensed with, now I can go back to work next week with confidence. Love this product. It’s so handy and quick to apply with 100% confidence that it will do what it’s supposed to EVERYTIME. Big time fan here and user of Blackbeard. After having a bad experience and chemical reaction to the PPD in (competitor’s brand) last summer, I found you and your superb product and am so grateful. I actually find it better, because unlike (competitor’s brand), I can shape my face much better and compliment the contouring outlines of my check bones and cheek area. What is so marvelous about this stuff is that I can lightly brush it on my skin (to varying degrees of pressure of how dark I want it), and it makes my beard look much FULLER and darker than (competitor’s brand) ever did. It wins big by far, even if they didn’t use the PPD chemical. Your product is FANTASTIC!..I work in retail and get multiple compliments everyday…..your product makes my Vandyke the talk of the town!…Thanks Mateys! One of the VERY few products I’ve ever bought that actually lives up to it’s claims! I’ve only discovered this product recently and I’m hooked! People have always told me I look 10-15 years younger than my actual age but as my beard started going gray they stopped saying that. This made me think about shaving it off, but I’ve had it 40 years and it’s a part of me and I DON’T WANT TO! NOW, thanks to Blackbeard I don’t need to! I can’t believe how great this product is. I’ve told many people what I’m using and they can’t believe I’m actually using anything at all…They honestly tell me it looks natural. Thanks! I don’t have much gray, but I’ve got a lot of skin. That is, I suffer from PWBMS (patchy, wimpy beard and mustache syndrome). Your stuff fills both in very well, stays on through multiple nose blowings, and lasts longer (and is way less embarrassing to use) than CoverGirl® eyebrow pencil. Thank you so much! This product is unreal — that’s aussie slang for you. 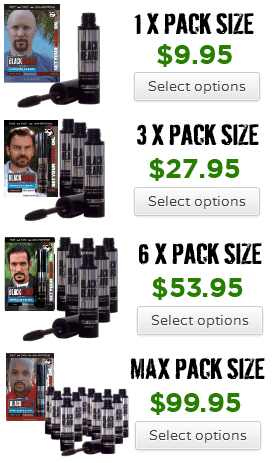 You guys should send a shipload to Australia, you would sell heaps — lots of men growing beards here now in Aussie. Thanks guys. 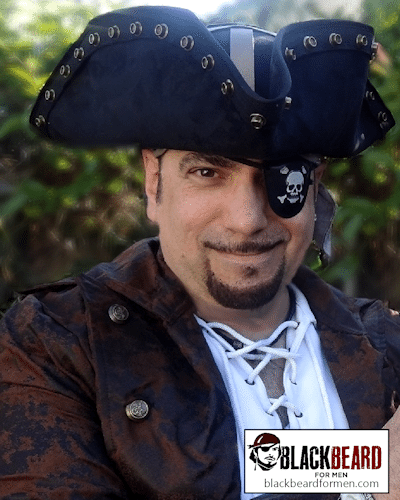 You guys should sell eye-patches too, because (Blackbeard for Men) totally does give me that pirate edge! It’s funny ‘cause I have actually noticed myself behaving differently wearing Blackbeard, like, know what? Check me out. Shiver me timbers! My wife actually suggested this product to me, and if there’s one thing that I have learned it is not to argue with her. Well done, mates. Cheers. I’d shaved off my mustache two years ago because it was snow white. Now it’s back. Been looking for a job for almost six months now, which is tough for a laid-off 44-year-old. Anything that helps me have a chance in this crap economy, I appreciate. So thank you. Overall, I love it. I put it on kind of lightly, so that I still look like me, but just younger now, LOL. What’s great is that even as it wears, it still looks natural – doesn’t get blotchy or fake-looking or anything! Let me tell you guys, I can’t thank you enough. Since I started using (Blackbeard for Men) my success ratio on (dating sites) has gone through the roof. A marked difference. I started using BBFM last week, and I have to say it is pretty damn amazing. I put it on in the morning before work and I am good to go. It goes on in, like, 15 seconds – wham-blam-blam, done. My goatee is back and now it’s black. I got my beard on! So I got my Formula X this morning and I gotta say I LOVE IT! 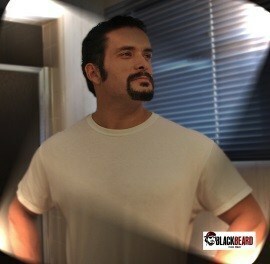 it looks great, feels natural and it has stayed in allllll day This version of Blackbeard is now flawless! Definitely gonna continue to purchase from you…keep up the great work! Received the new Formula X and it is great! Made a super product even better. I don’t have a beard but I use it on my sideburns, works perfectly. What I like is that I leave some gray hairs, so it looks absolutely undetectable. It’s amazing you can actually vary the intensity with the brush too. Definitely better than dyeing for me. This stuff is awesome. 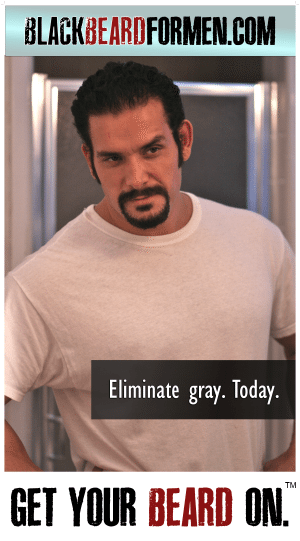 No more blistering skin and sores from ‘Just For Men’. Thanks for this great solution. I just bought 6 of them. It took me a time or two to figure out I was using too much. A little goes a long way and now I am looking pretty darn good. I have been using… beard dye for the past 2 years and I can say unequivocally that “Blackbeard for Men” is a far superior product! Why? 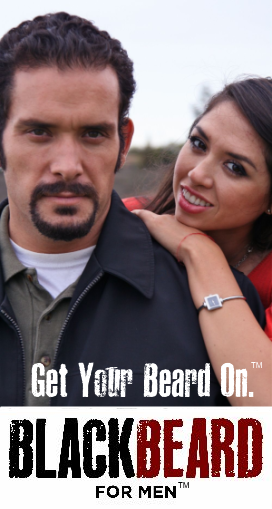 Three main reasons: The product applies on more effectively and evenly, stays on the beard hair follicles longer and has absolutely no irritation to the surrounding skin. 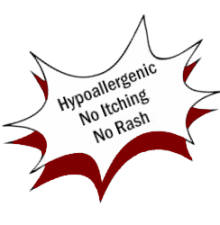 I have been using the product for 30 days and have reordered for more. You have definitely put a lot of though and R & D into your product. Thanks! 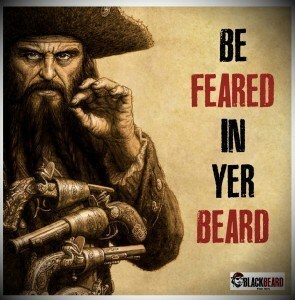 We love to hear from all ye scurvy sea-dogs who be at sail with the Cap’n usin’ Blackbeard for Men.